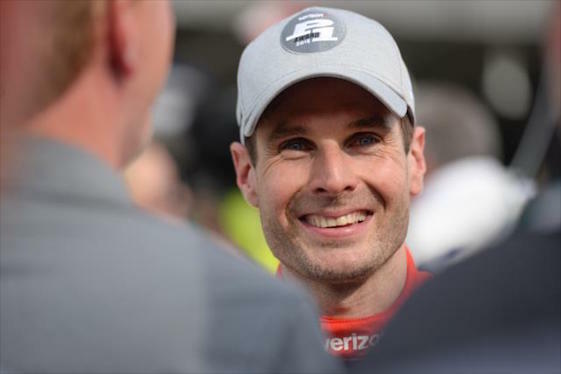 Will Power earned his second straight pole starting position at Iowa Speedway during qualifying Saturday for Sunday’s IndyCar Series race at Iowa Speedway. Power turned two laps around the 0.894-mile oval at an average speed of 182.391 mph to collect the 52nd pole position of his career. It was also the third pole for the Team Penske driver at Iowa. Power, in the No. 12 Chevrolet, will lead an all-Team Penske front row to the green flag in Sunday’s race (2 p.m. ET, NBCSN and Advance Auto Parts INDYCAR Radio Network). Josef Newgarden, the 2016 Iowa winner, qualified second in the No. 1 Penske Chevrolet at 181.160 mph. Andretti Autosport’s Ryan Hunter-Reay, a three-time winner at Iowa, prevented Team Penske from sweeping the top three spots in qualifying as he qualified an third in the No. 28 Honda at 180.681 mph. A final 60-minute practice is scheduled for 6:45 p.m. ET and will stream live on RaceControl.IndyCar.com, youtube.com/indycar and the INDYCAR Mobile app.